These unique end cheeks allow the quick and easy adjustment from a flat to angled playing position. 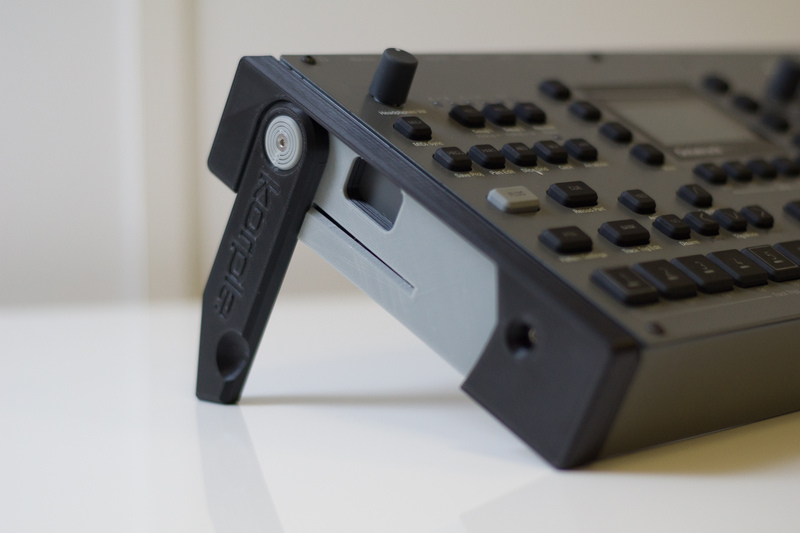 Great for gigging musicians or DJs who want to be able to quickly setup and pack away their gear without the added hassle of removing traditional fixed angle end cheeks. The Swingcheeks have an integrated locking mechanism, like a locking knife, which means the legs automatically lock when extended, press in the locking tab and swing back to the retracted position. Limited edition comes with free optional PL-2 spacers that allow the use of the PL-2 plastic lid.